The Woolmark Company is the trade body responsible for increasing the use of Australian grown wool worldwide. Having had great success building merino wools reputation with the fashion, lifestyle and construction industries for many years, they decided it was time to start a direct to consumer approach. 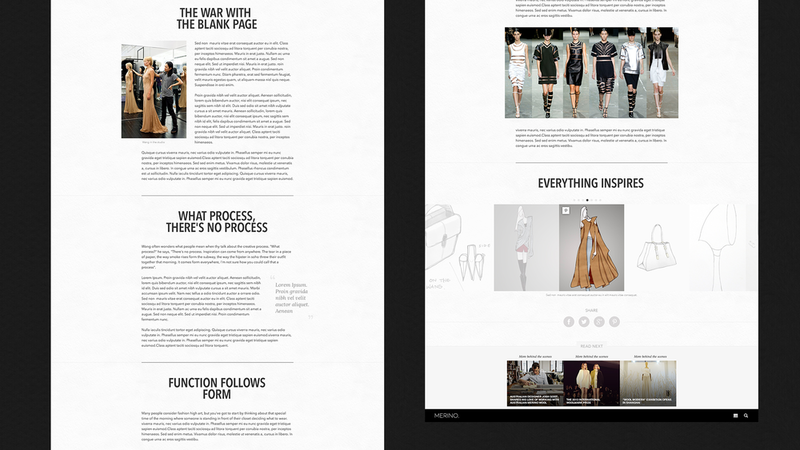 Working directly with their Global Head of Engagement we devised a new product for the consumer fashion market, and online magazine producing long form content form behind the scenes of the fashion industry called Merino.com. Cutting edge (at the time) responsive design. Learning limits on the fly. We honed an editorial strategy and calendar that gave us a point of difference to the Vogue and Elle magazines of the world. We wouldn’t be a news site, we would be a site of longer, more intimate stories. Rather than just highlight the latest Alexander Wang collection, we would go behind the scenes to tell the stories of his inspiration, his emotional journey and how he brought his collection to life. This was all possible thanks to the relationships that The Woolmark Company had been building for decades. With stories being researched and written by editors around the world, we created a brand book encapsulating the look feel and tone of Merino which guided them. 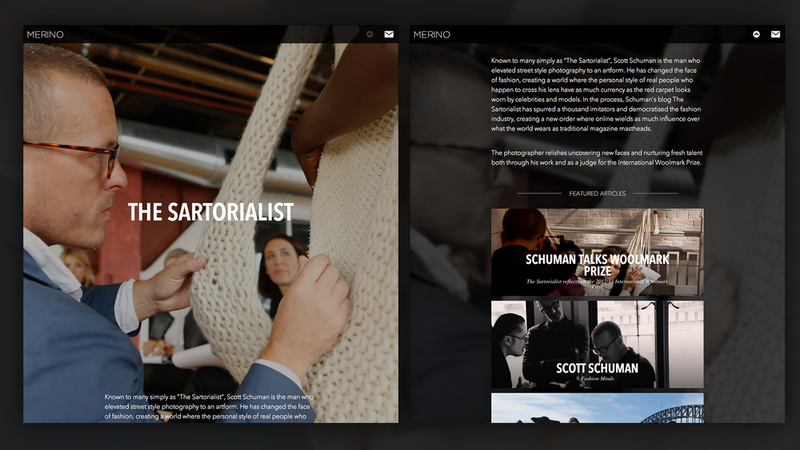 We then designed an online publishing system that would bring these stories to life. A mobile first approach to this responsive site when at the time, those weren't buzz words yo heard attached to every online project.. Custom server side image technology allows us to serve the best quality versions of these beautiful images without sacrificing performance, whether your reading it on your 27” cinema display in your studio, or in a cab on the way to Fashion Week. While the Hoi Polloi are on mobile, the Fashion-ratti tend to have some of the biggest and best screens in the world. An living product roadmap was created to see out the project over the next half decade, with constant checkpoints to analyse the most popular stories and features of the site so that we can be sure we’re making something that people will love.